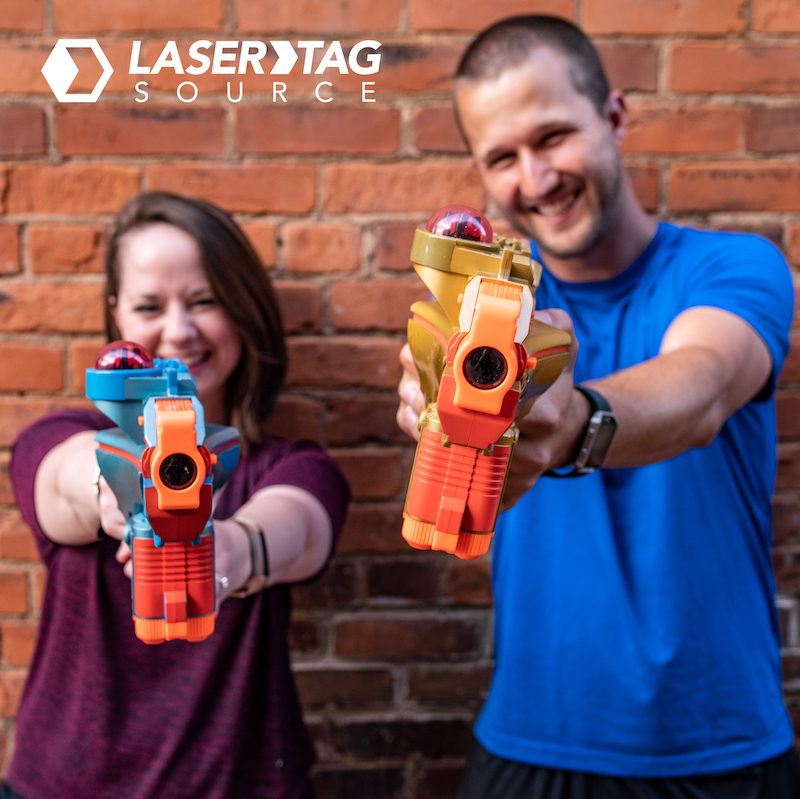 As the longest-running member of the Laser Tag Source arsenal, the Phoenix LTX is the perfect laser tag gun for our first “Product Feature” blog. Or at least our first one in a very, very long time. So it’s time for a refresher! This tagger does it all: want to keep the battle indoors? No problem! Prefer the sunshine and breeze of the great outdoors? Great! Go ahead and take it outside! Day or night, indoors or in the yard, the Phoenix LTX is the perfect entry-level laser tag gun! Once you’ve set your battleground, it’s time to turn these babies on and see what they can do! With a range of up to 250 feet, you can feel the freedom of laser sniping your friends from a distance. And no need for vests or headbands with the LTX – the sensor is built right into the gun! You’ll notice LED lights on each side of the tagger; these keep track of how much ammo and health you have remaining! That way you can strategically time your reloads, as well as know when to be more aggressive or take cover. The Phoenix LTX has two game modes: Team Deathmatch and Free-For-All. They each have their own place in the greater laser tag universe. Team Deathmatch is the most popular mode, and you can mix it up however you want: Boys vs. Girls, Kids vs. Adults, Your Family vs. That Other Family That’s Always At The Reunions But You Don’t Know Who They Are (you’ll either need to shorten that name or get a huge scoreboard). But every once in a while, you just need to know who shoots the MALOAT (most accurate laser of all time). If that’s the case, then Free-For-All is your game mode! Slowly weed out the opposition Hunger Games-style until it’s just you and your arch-nemesis left, duking it out for laser glory! Regardless of what game mode you choose, you’ll have two options for how long each match takes. Because wins and losses are determined by the last man standing, there are no strict time limits set on the battles. But if you’d like your laser tag match to be short and quick, then set the number of lives to 10. If you’d like the battle to last longer and up the “epic” factor, go ahead and set each gun to have 25 lives. Whichever one you choose, I’m sure you’ll be playing more than one game. After all, 2nd place always wants a rematch! Good news: The Phoenix LTX is our least expensive tagger (along with a few others). 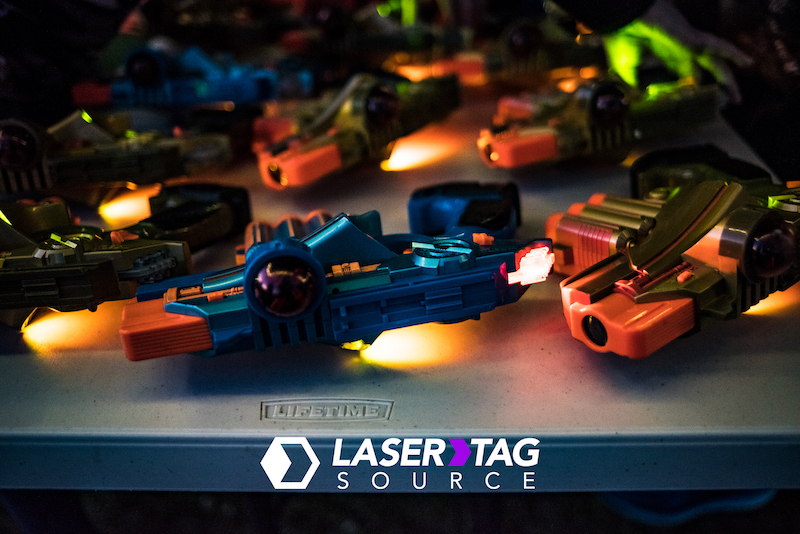 At just $12.99 per tagger, hosting an epic laser tag battle has never been easier! Think about it – you can go to a laser tag arena and pay more than that for just 20 minutes of fun. 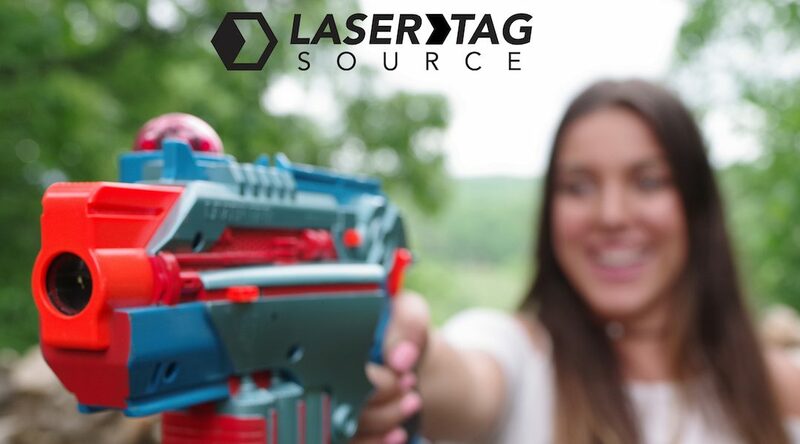 Why not turn your backyard into your own laser tag battleground and let the fun last for hours? Renting the Phoenix LTX is quick and easy! Click that “Place Reservation” button at the top of the page and enter the date of your event and where you’re located to get started. We rent and ship nationwide, so as long as you’re in the United States, we’ll be able to ship you the fun!